The Striped Trousers are the same shape and fit as our Trousers, but we have added a one inch black stripe down the outside of each leg, for that formal or military feel. 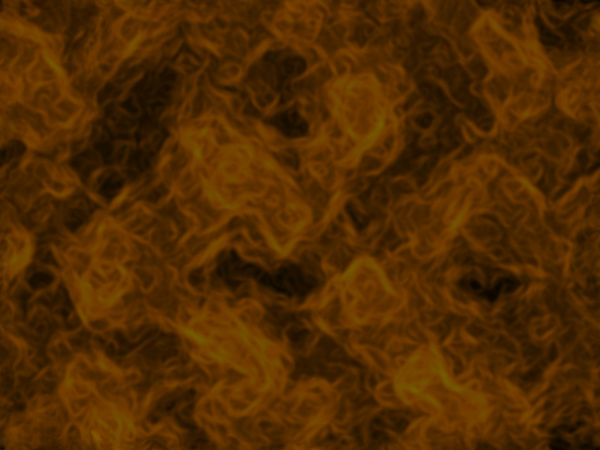 Other colors are availbel by request. Please contact us for additional stripe color options. 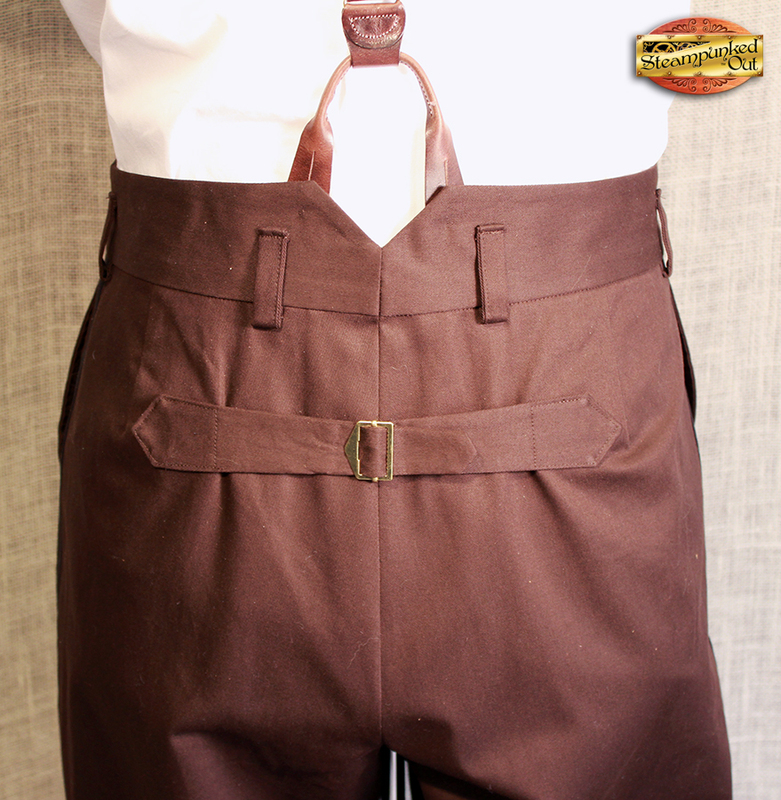 These trousers are a great addition to any steampunker's wardrobe, as well as fitting into the re-enactor's closet. These are trousers you can spend the whole day in, and throw in the washer afterwards. 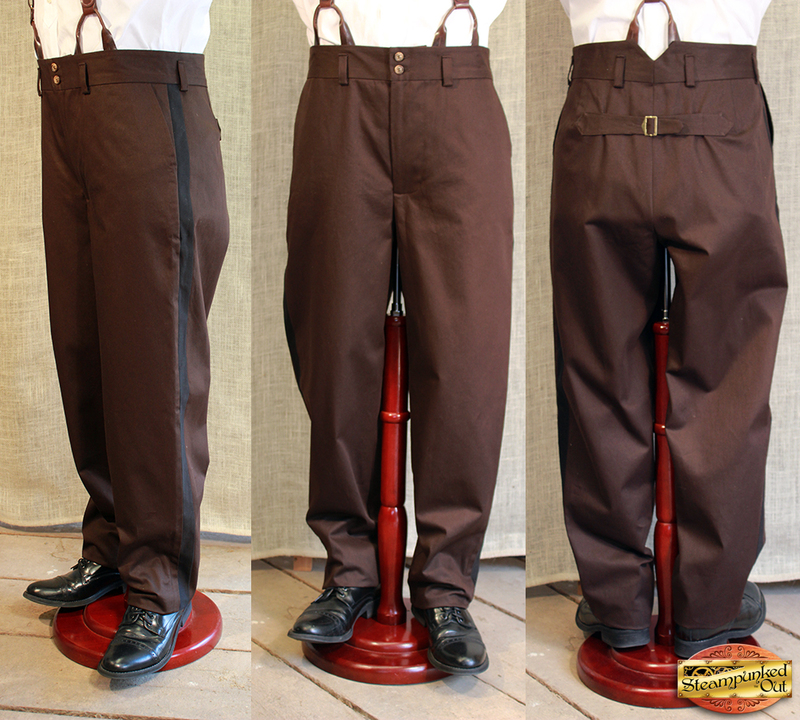 They are well researched for late 19th Century detail: high waist, back belt, suspender buttons, notched waistband, and a moderate fit thigh falling into a straight leg, and yes, they do look best when worn with suspenders. We've also added a few modern perks so you can have the best of both worlds: a zipper fly, belt loops and optional back pockets. 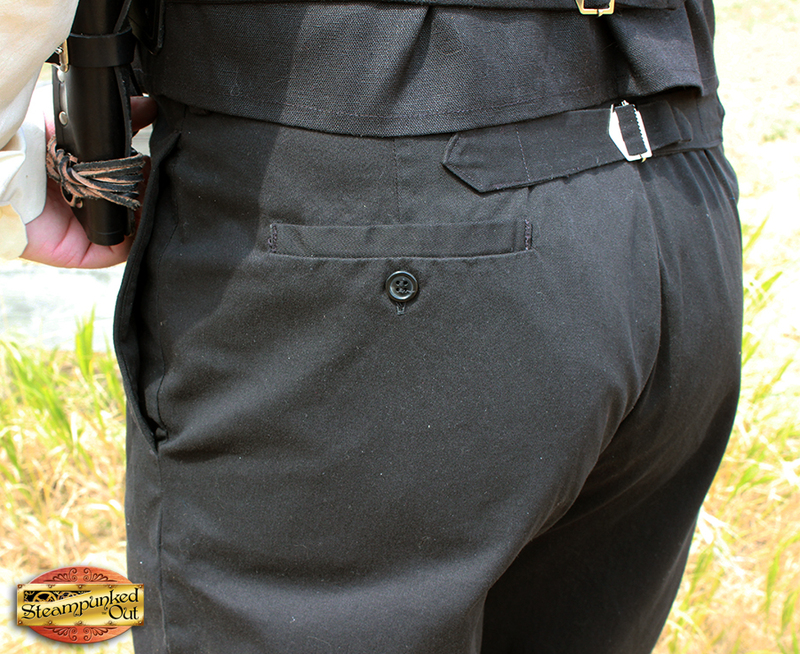 For those thrifty folks, please note that these do not come with a hem unless you ask us to put one in. Made from 100% organic cotton, gabardine weave. 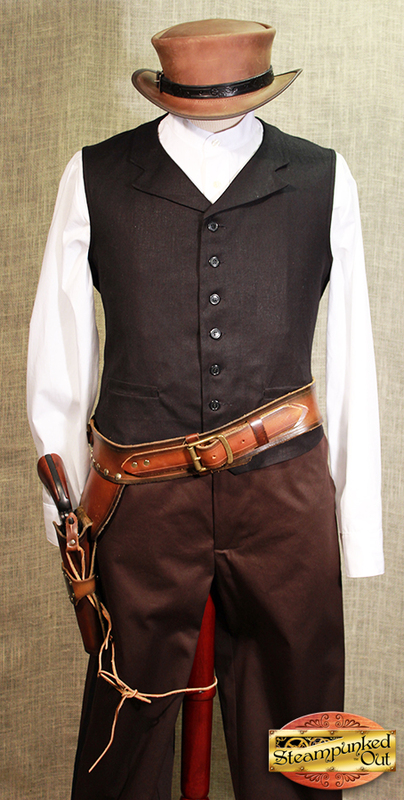 Please contact us if you would prefer the "way back to 19th Century basics" version of these with no belt loops and a button fly. Sizing: These are based on a waist measurement around your "high waist" or tummy. Do not rely on your street size pant size. To find the sweet (waist) spot, place your hands on your hips and bend from side to side. Where the torso bends is your high waist. Trouses can be hemmed before shipping for $10. 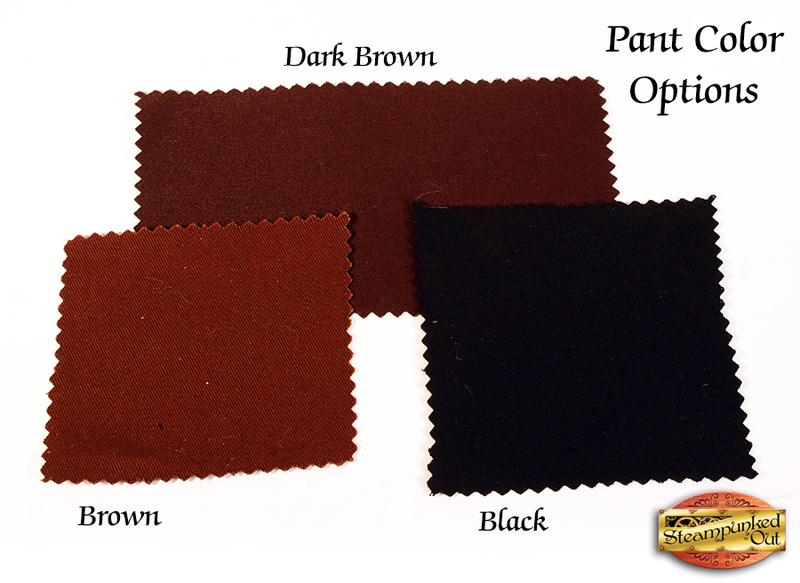 To have us hem them, please provide the inseam measurement in inches you would like them set at. Hems can be between 28 and 37 inches. For sizes outside this range, please contact us before ordering.